What is a vegan potluck and what do I need to bring? What do you want from 3 Valley Vegans? 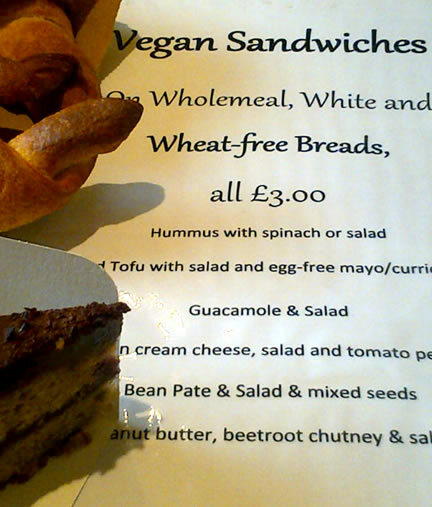 Saker, the bakers in Hebden Bridge and Todmorden, are introducing a range of vegan sandwiches in their Hebden Bridge shop on Market Street. Did you know that all their bread is already suitable for vegans? They also make great vegan croissants fresh each day (Mon-Fri, butter ones at the weekend) and have a vegan cake most days. There is also their range of pasties and sausage rolls, most of which are suitable for vegans, plus lots of vegan-friendly groceries.